“This is my kind of menu!” Marsha exclaimed as she scanned the oversize broadsheet. 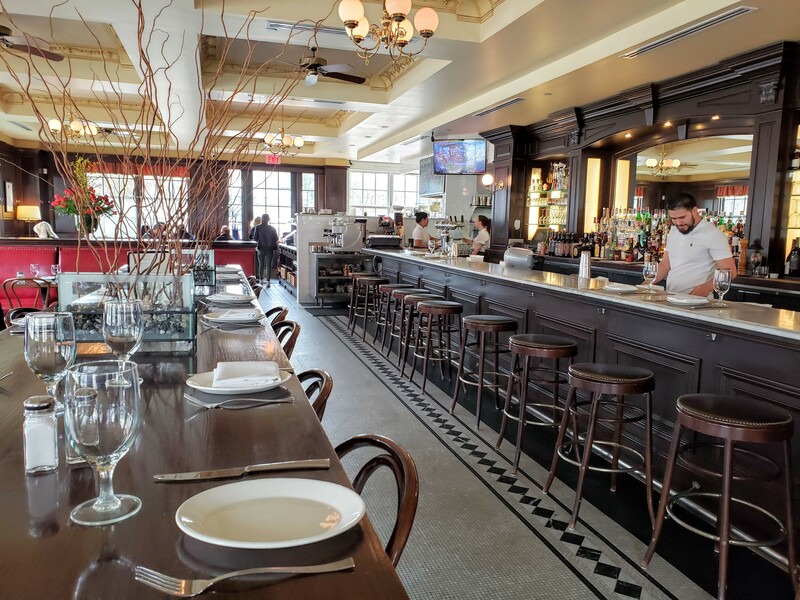 “There are at least twenty things here I want to eat.” Billed as an oyster bar-bistro, the emphasis is on seafood at Darien’s Ten Twenty Post, but there’s plenty of bistro fare too. We don’t seem to get to Darien very often, even though it’s right next door. 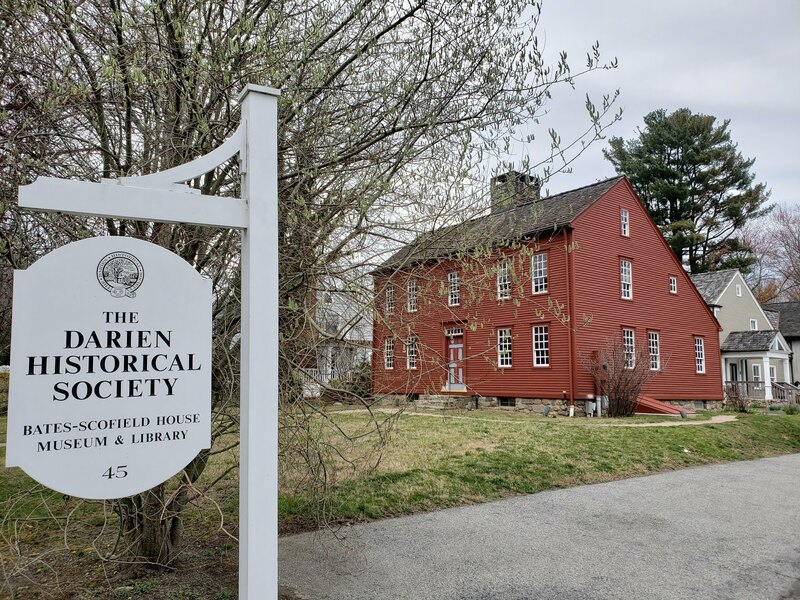 A lecture by art historian and curator Robin Jaffee Frank at the Darien Historical Society the week before broke the ice. She gave a fascinating talk on art during World War I as part of the just-opened exhibit – Over Here: Darien’s WWI. 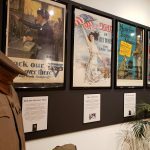 We wanted to come back to have lunch and a closer look at the poster collection and local war memorabilia. 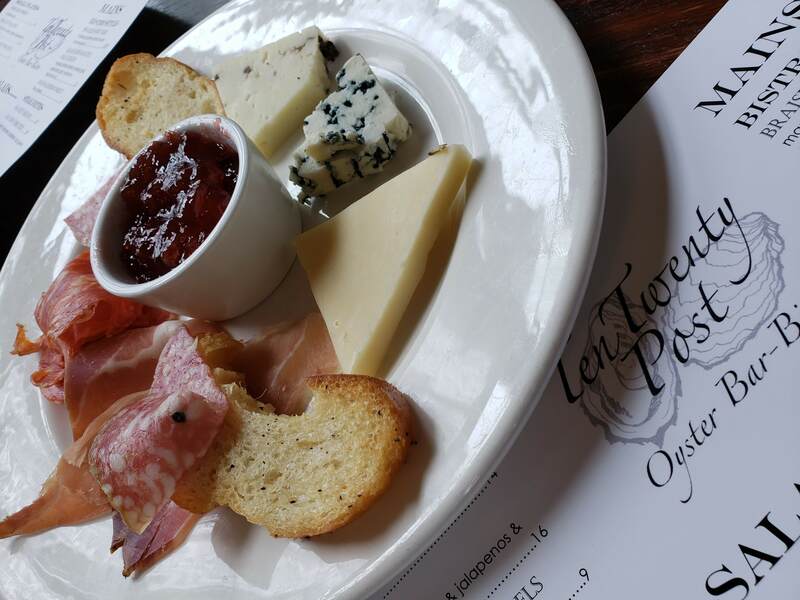 At lunch, a selection of carefully chosen cheese and charcuterie ($16) along with a platter of chilled seafood demonstrated the quality of the ingredients at Ten Twenty and the kitchen’s flair for presentation. 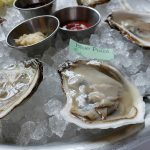 Of course, oysters are featured. 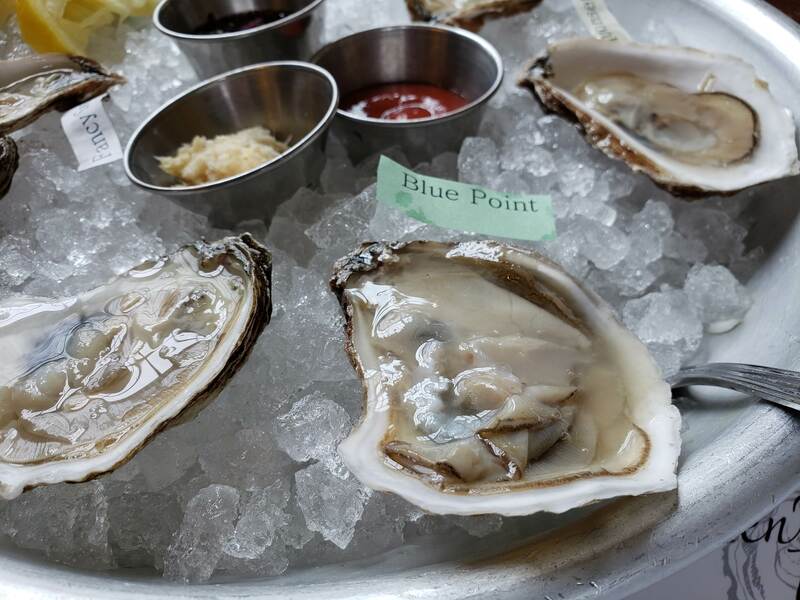 We picked three east coast types: Bluepoint (2.50 ea), our local benchmark; briney Quonset (2.95) from Rhode Island; and tiny and aptly named Fancy Sweet (3), from PEI. As Marsha noted, the menu was extensive and inviting. 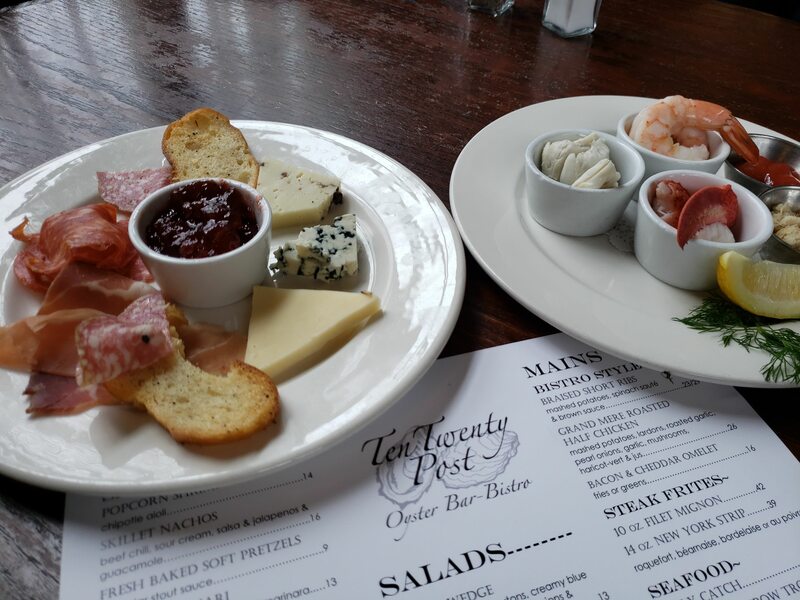 Tempting apps and salads competed with bistro style mains, fresh seafood, mussels, pasta, and sandwiches. 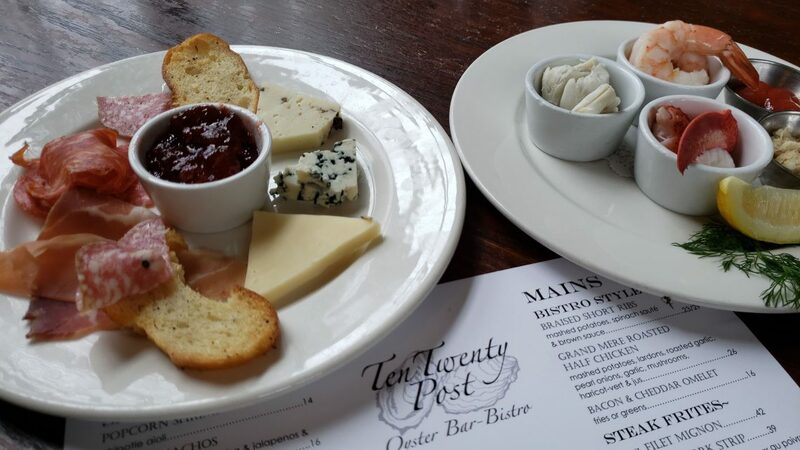 Like any authentic bistro, the same menu runs continuously, all day for both lunch and dinner. Drop in any time 11:30 to 9:00. The kitchen is always open. Fish tacos (20) featured halibut, the catch of the day, with a kicky baja sauce and a heap of southwest salad (black beans, greens, cherry tomatoes and corn on a bed of tortilla chips). Delicious and a little messy as these things should be. 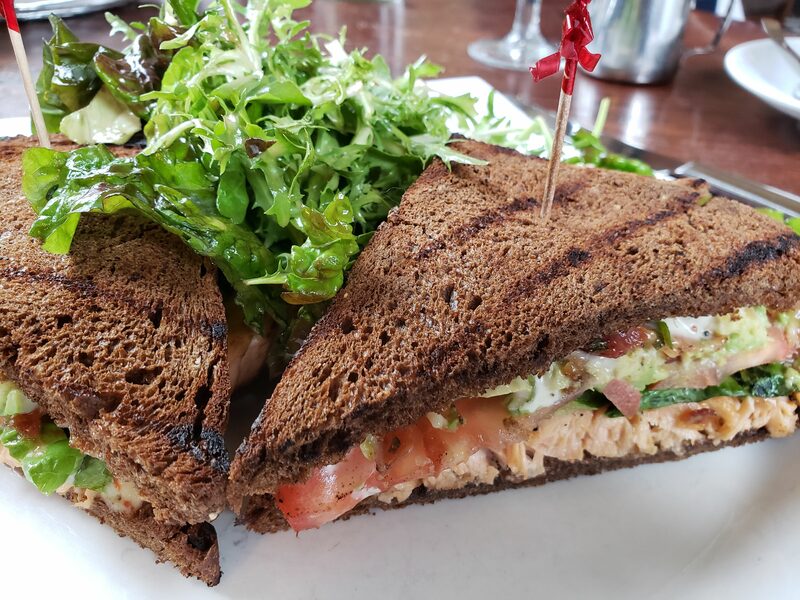 The salmon B.L.T. 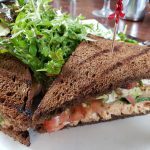 (18) came on thinly-sliced flavorful black bread with crisp bacon, lettuce, tomato, and a tasty remoulade sauce. I’m sure the fries would have been excellent, but I opted for a nicely dressed tangle of mixed greens. The greens, I should note, are not the usual rip-open-a-box mixed greens but a carefully blended in-house mix of the best available market lettuces. 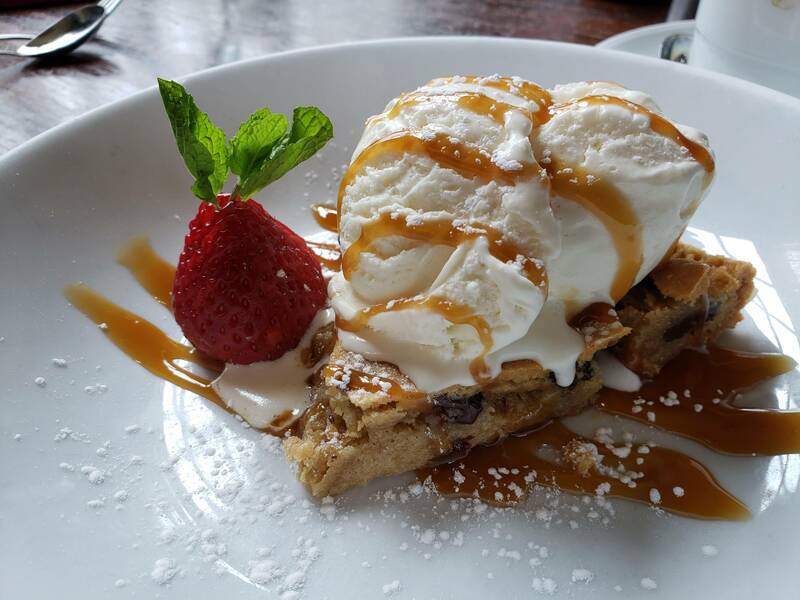 You would think we’d had enough, but who could resist the 1020 signature dessert – Toll House cookie pie (7). Warm, with a generous scoop of vanilla ice cream and a drizzle of caramel sauce, it was worth the extra calories. The long-tenured service staff moves effortlessly among the tables – easy going but very professional. They’re happy to give the details on any menu item and help you pick once you’ve narrowed down your options. You’ll be lucky to be served by either Sarah or Linda. 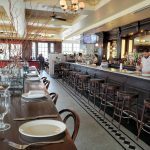 The large wood-paneled restaurant has a traditional bistro mosaic tile floor, marble topped bar, and dark wood paneling. Red leather banquettes line the walls facing bentwood chairs. There’s an outdoor patio ready when the warm weather finally arrives. 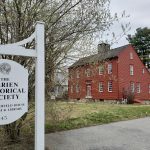 On the other side of the tracks, just past the Goodwives shopping center, the Darien Historical Society occupies the restored 1736 Bates-Scofield Home which is joined to the reconstructed 1827 Scofield barn. The home is filled with the furniture and household tools of everyday life back in the day. But we were headed for the barn, an open exhibit and event space, now filled with the World War I exhibit. The visual centerpiece of the show is the display of propaganda posters drawn from the museum’s large collection. America was papered with posters, which were designed to persuade people to enlist, buy war bonds, support the troops, and get women into the workforce. Hundreds of thousands of posters were printed, mostly by the government, to get the war effort organized. They were the social media of the day. Artists across the country were commissioned to create colorful, dramatic, attention-grabbing art. The most memorable of these was the “I Want You” poster of Uncle Sam created by James Montgomery Flagg as a magazine cover in 1916. The Darien collection reflects all the messages and a range of artistic styles. 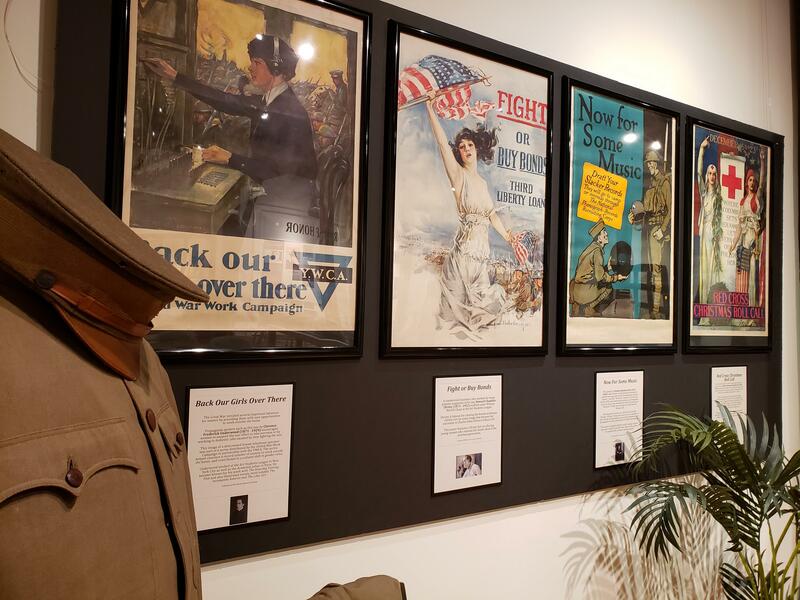 The exhibit also features WWI uniforms and artifacts from Darien families. The uniforms, in particular, are in remarkable condition for their 101 year. A roll of honor describes seven Darien residents who died in the war. No trip to Darien is complete without a stop at the Darien Cheese Shop. 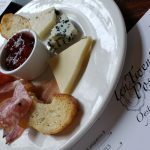 Here Ken and Tori Skovron have created a revered destination for cheese lovers. 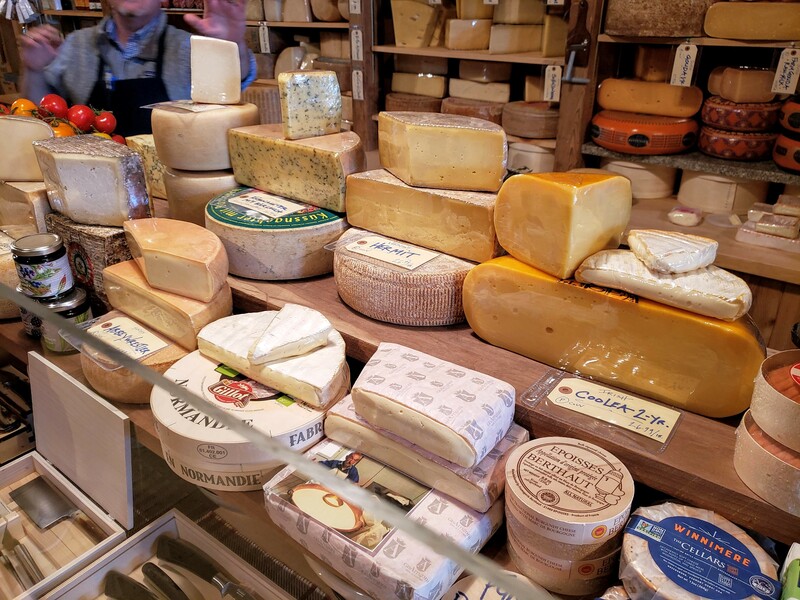 Decades have been invested in cultivating sources for the finest cheese around the world. 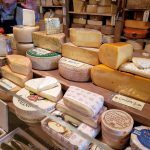 Each cheese is presented at its peak of flavor and ripeness. 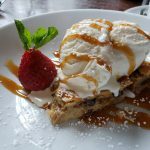 Right next door is Aux Delices where Chef Debra Ponzak offers up delicious prepared foods, take out, and baked goods – something for teatime or supper after the museum. Both stores are adjacent to the Bates-Scofield Home in the Goodwives Shopping Center. We left Darien well-educated and well- fed, with plans to return for more.